Feast your eyes upon this Sockeye! 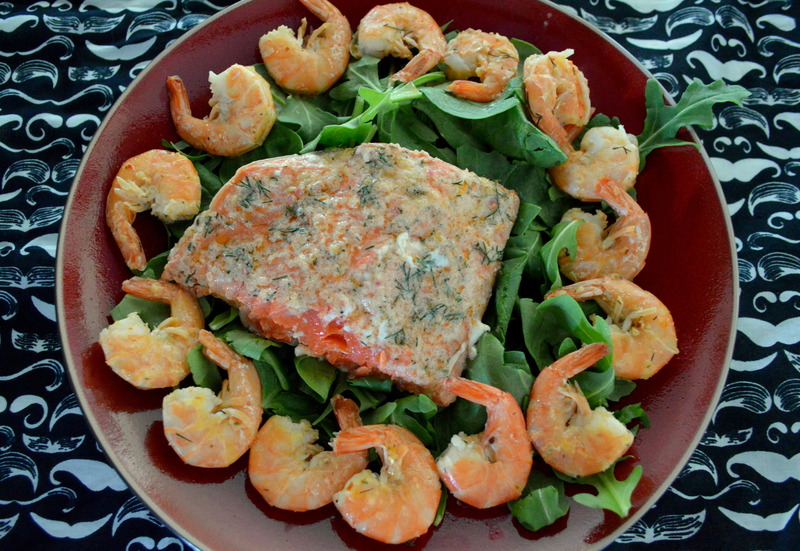 Salmon is so simple to make taste wonderful. 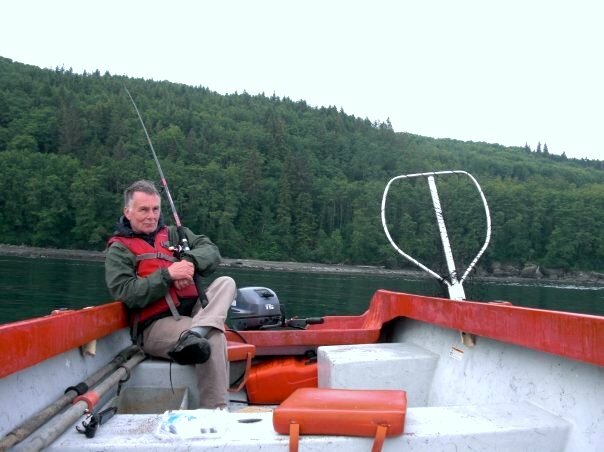 Summer usually starts with my father and I headed out to the tiny fishing town of Sekiu Wa, to attempt to catch some kings. Sekiu is NOT for the faint of heart. Stepping out of the car the smell of the town lets you know that yes, people catch fish here. The eagles happily search the beaches for carcasses, entrails, and lingering small dogs, and if the walls in the hotels could speak they’d be screaming. 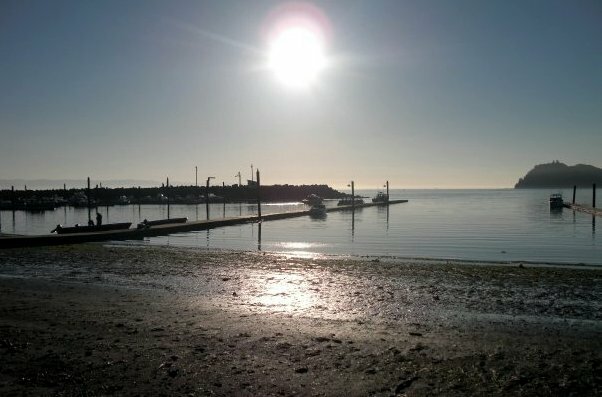 The local bate shops are manned by the usual suspects, and tall tales are told at the local diner and bar, which ever ones happen to be open that season. Now truth be told, most of the time we end up skunked. Its been a dismal for catching the last couple times we’ve gone, but according to a few science folks, this year will yield a massive return. They are boasting that it should rival the salmon return to the Columbia that happened in 1937 after the dams were put in. Its time to get started perfecting my salmon recipe. The easiest way to prep a salmon is to take olive oil, coat the flesh, along with salt and pepper, and strategically place onions tomatoes and slices of lemon all over the top. Then place the whole thing in tin foil and roast or bbq it until its tender and easily separated with a fork. Too easy. This time I’m taking things up a knotch. I’m making a lightly herbed butter mixed with a lemon, onion and tomato puree. I can honestly say after making this I’m ready for fishing with my father. May the fishing gods be kind! First salt your salmon and give it a gentle squeeze of lemon juice. Coarsely slice your tomato, and shallot, and toss them into your food processor with the garlic dill, zest, lemon juice, salt and pepper. Send that whirling around until its a lovely pink puree. Put the puree into a bowl with your butter and stir it until well mixed. 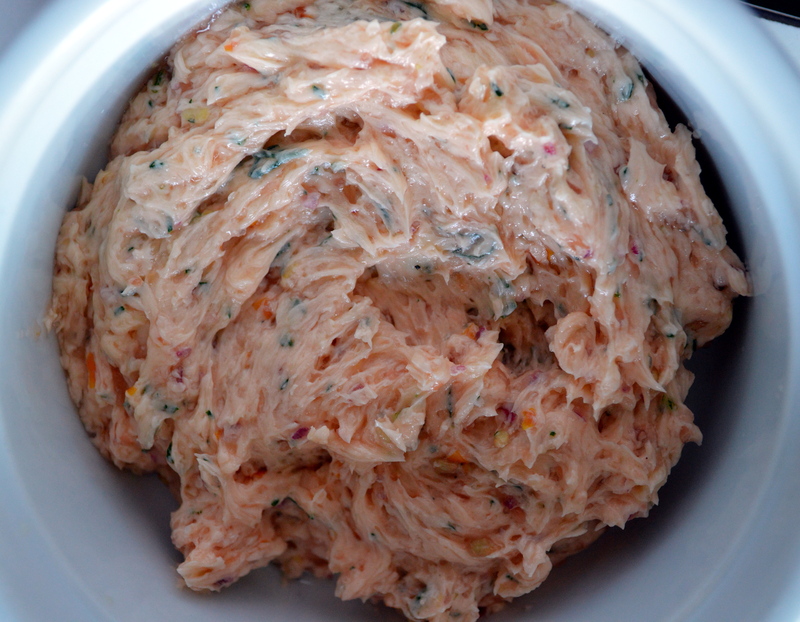 Gently smear this butter mixture over the top of your salmon. It doesn’t have to be too thick, just a light spackle job. Place the salmon on a rack wrapped in tinfoil, and pop that in the oven for 20 to 30 minutes depending on thickness and amounts. Take that remaining butter, slice up a huge loaf of sour dough and put that in with your salmon. You can then spend the next 20 minutes making the difficult decision which one to crudely stuff your face with first. Guess what season it is kids?? Rhubarb season. I really think people don’t give this lovely vegetable enough credit. It goes great with fish, and makes lovely tart desserts, and it is possibly the easiest gigantic weed you’ll ever grow. I made some delicious rhubarb and custard tarts this weekend. 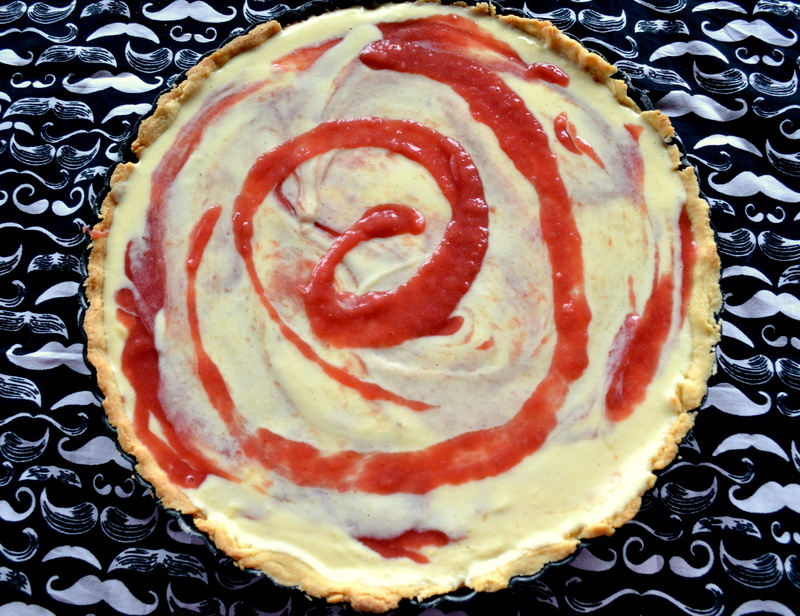 My large tart was beautiful, and delicious however making this into mini tarts was the best option because its just a little impossible to serve them in pie slices. Put the rhubarb, sugar zest and juice in a sauce pan and mix the ingredients together. Add the water and bring it to a boil, occasionally stirring it. 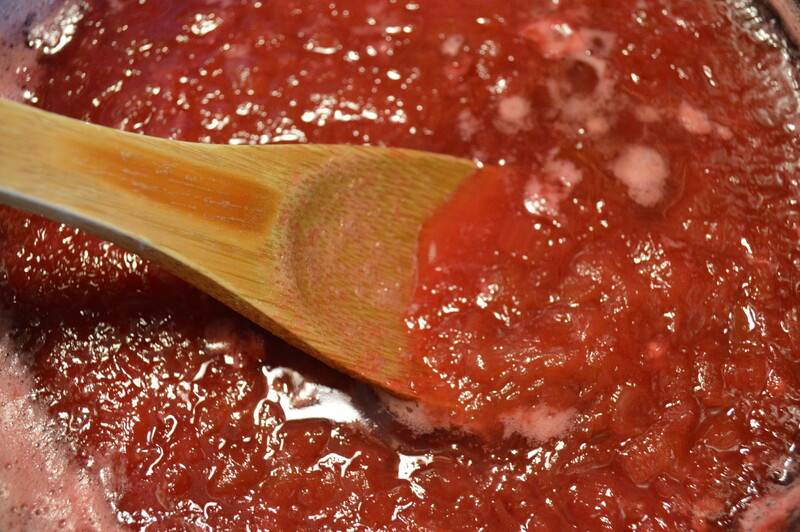 Once your rhubarb has softened drop the heat to medium low, add the salt and flour, let it simmer for about 30 more minutes, occasionally stirring it, and remove it from the heat. This portion is adapted from Jamie Oliver’s version. The only real difference is I love the taste that the little seeds put out. The whole bean was just not enough the first time I made it. Whisk your egg yokes and 1/4 cup of sugar until they thicken. Slice open your vanilla bean and scrape out the magical insides. Put your milk, cream, vanilla bean seeds, and the rest of the sugar into a medium sized sauce pan, and bring it to a boil. As soon as it boils, remove it from the burner and set it aside to cool for about 5 minutes. Add the cream to the egg mixture approximately 1/2 a cup at a time whisking in the ingredients as you go. Once you have finished, add the the mixture back into the sauce pan and put it on medium. Stir it constantly until just barely begins to simmer, and then remove it from the burner. It if curdles, pour it into a bowl, and take your whisk to it. Those little bastards can be beat back down. Set it aside to begin to cool. It should be thick, like a light gravy. Quickly mix the flour butter and salt together, until it forms into little nuggets of dough, add in the water, and kneed it once or twice to form it into once big ball Separate it into 4 balls, roll them out, and gingerly place them into your little tart pans. Bake it at 350 for 15 minutes. Remove the pie crust from the pan and set it aside to cool. Now for the grand finale. Place a layer of custard in the bottom of your tartlets, then drizzle a generous layer of your rhubarb, and then on more layer of custard, and then a final artistic layer of rhubarb on the top. Place them into the fridge to cool for several hour or over night and enjoy. Chicken Pesto and peas…dirty knees, look at these. I opened my freezer today, and for the first time in about 6 months, I spotted my pesto I made this winter for a lazy day. That lazy day came today. The second thing I spotted was my chicken, and then my peas. Perfect combo for making a lazy Tuesday dish. On an educational note, Did you know that peas can be used to tend to a constipated gold fish? You’ll know its possibly constipated when it floats to the surface (still living) and cant swim to the bottom of the tank. Hence the reason for my pack of frozen peas….. I’m slightly ashamed of my peas. Throw all of that into a blender and puree it into a lovely green slurry. I use about 1/2 a cup for whatever meal I’m making, and then I store the rest for times when don’t feel like cooking much. 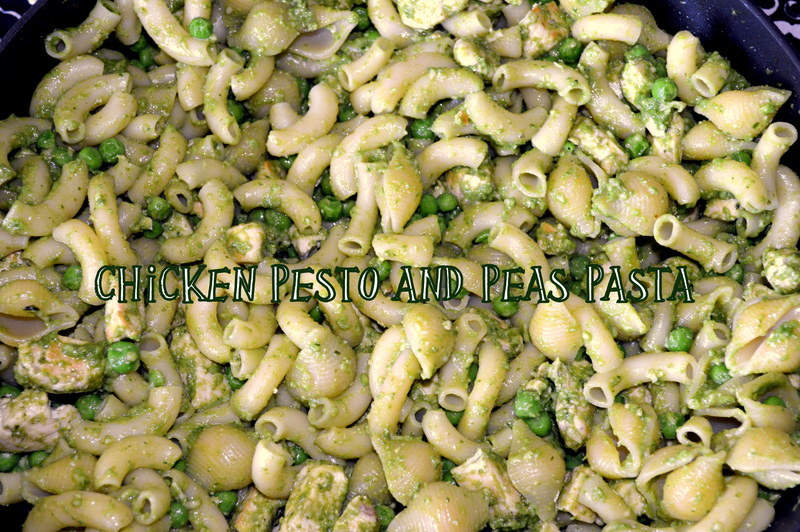 Saute your chicken until its cooked though, cook your peas, and your pasta to the package standards, and throw it all into a big bowl, along with your pesto. Mix that together, and inform your family that they should shut up at and eat it. Then commence liberally sipping your wine. It is Tuesday after all. Not a Friday to be seen for at least two more full days. 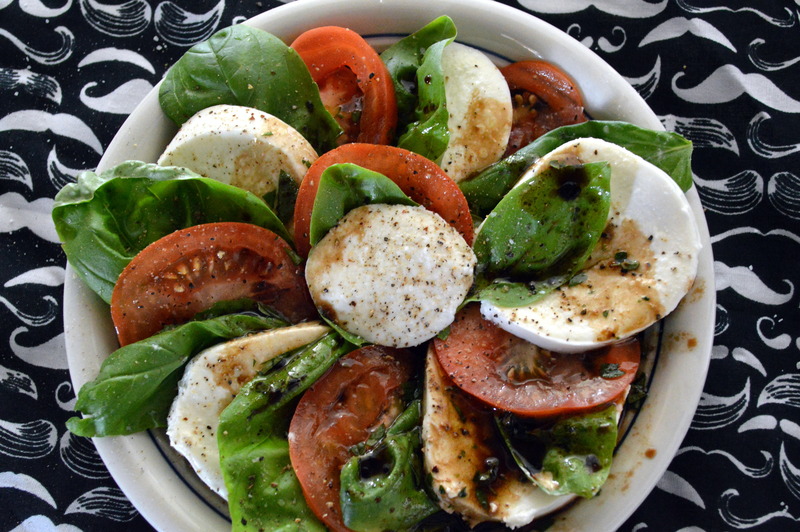 Sometimes when its hotter than hell out, the idea of turning on the oven makes you have serious reservations about your own sanity, I turn to my simple favorite, caprese salad. It has 5 main ingredients, and I’ve never had someone turn me down once that put that flavor combination in their mouth, and it takes about 2 minutes to make. Cut your mozzarella up into bite sized pieces. Thinly slice up your tomatoes, and remove your basil leaves from the stems, and gingerly arrange them on a plate and sprinkle it with salt and pepper. Lastly finely chop up your herbs and place them in a bowl with your oil and vinegar, then pour them over you salad. Fin. A few times a year I have Mediterranean night at my place. It usually consists of Raiders of the lost ark, something lamby, some Greek olives, feta cheese, maybe some curry, the ever important pita bread, and of course, falafel. 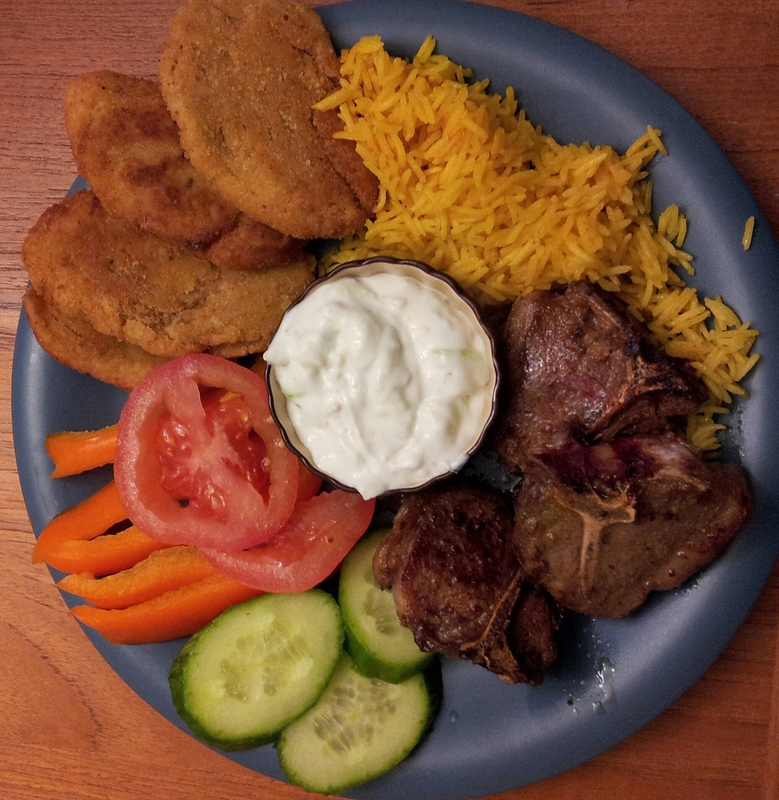 I then serve all that up with a little Tzatziki. Toss your garbanzo beans into a pot and bring them to a boil for 10 minutes. Drain the water and give them about a half hour to cool. Take your spices, parsley and garbanzo beans in a food processor and your ingredients together until they are a lovely paste. Remove your paste from the processor, put it into a bowl and add the minced garlic and onions, the flour. mix them together, put some flour on your hands, grab a cookie dough amount and roll it into a ball. Roll that ball in the bread crumbs and give it a little squish till its approximately 1/2 inch thick. 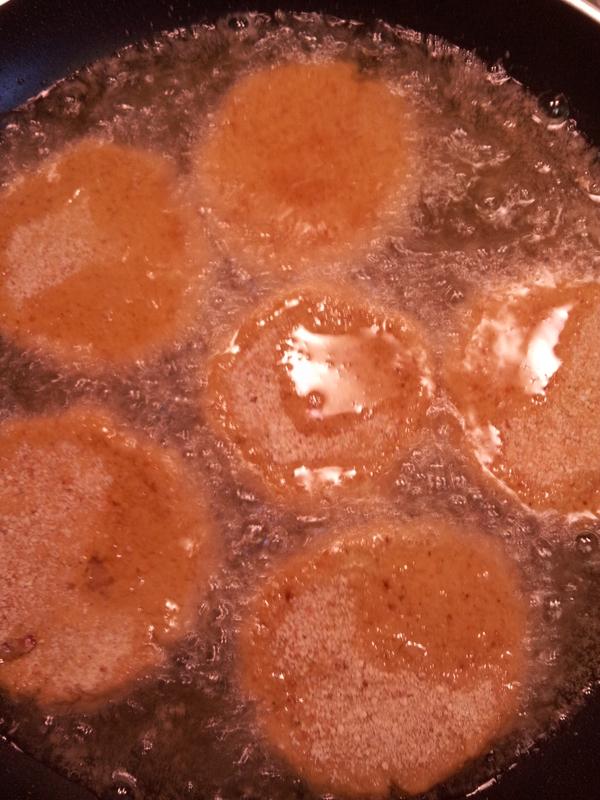 Turn the fry pan on medium high and cook them on each side for about 3-5 minutes until they are lightly browned. Seriously folks, when you buy this stuff at the store, and communists win. Put all of your ingredients for the tzaziki into a bowl and stir. Let it sit for 15 minutes, and serve it up with your falafels. Swedish meatballs are deliciously comforting. They are slightly messy, but fairly easy to make. It has me wondering why anyone would even remotely consider buying them in Ikea of all places. I initially tried it with gravy and lingonberry preserves. If you are looking for something that will make you start breathing heavy while eating, that is definitely the way to go (it is quite good). However if you want to hit up the lighter side of things, such as an appetizer, or you just aren’t a fan of a hearty gravy, a balsalmic reduction is an excellent option. It gave the perfect amount of tart and and sweet to compliment the light spices inside my little balls. I’ll put both in this post. Now, you CAN use your hands for this, I chose to stick it in my stand alone mixer, because nothing make me wash my hands more, than touching raw meat. Blanch your onions and garlic in a frying pan and set them aside to cool. Put your beef and pork in your mixer and incorporate in the rest of the ingredients. I used the slowest setting to make sure I didn’t make a meat paste. Once you have mixed up your meat, roll it into small balls (or use a cookie dough scoop). The Italian side of me really wanted to make these gigantic, but after a test ball I made them about an inch or less in size. Turn your stove to the high side of medium high, in a large frying pan, put couple tablespoons of butter. Add in your meatballs and brown them on all sides allowing them to cook all the way through (about 5-7 minutes each side). I had to do mine in batches. If you make too many, you can easily stick the uncooked ones in a freezer bag and save them for a lunch snack for later. At this point if your are going to make gravy, in the same pan you used to make the balls, add a tablespoon of butter and allow that to lift the delicious cooked brown bits from the bottom of the pan. Add in your beef broth, and bring it to a boil. Add in your flour drop your heat to medium low, and whisk with all your might until your sauce thickens. Add in your meatballs, and serve it over mashed potatoes. For the balsamic reduction, in a sauce pan, melt your butter and add in the balsamic vinegar. Bring that to a boil and allow it to reduce for 2 to 3 minutes. 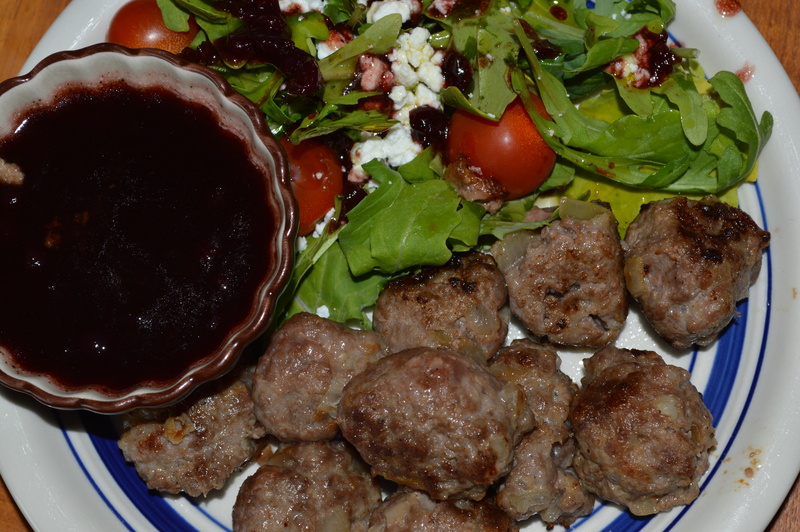 Add in the honey and the lingonberry preserves until it thickens and serve it up with your meatballs.